It starts with a sighting out of the corner of your eye. You turn, look, but nothing’s there. A couple days later you find the official proof: droppings on your kitchen your counter. (Yuck!). Mice are a pesky problem. And if your not careful, a few intruders can turn into a whole infestation. The National Pest Management Association estimates that female mice can breed half a dozen babies every three weeks (Yikes!). If you want a mouse-free home, you need to invest in some mouse traps. 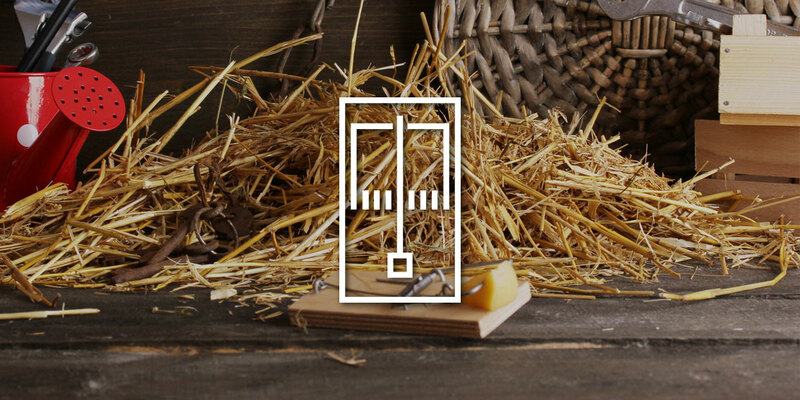 The best mouse traps make the elimination process easy and mess free. Here are some of the best products on the market. 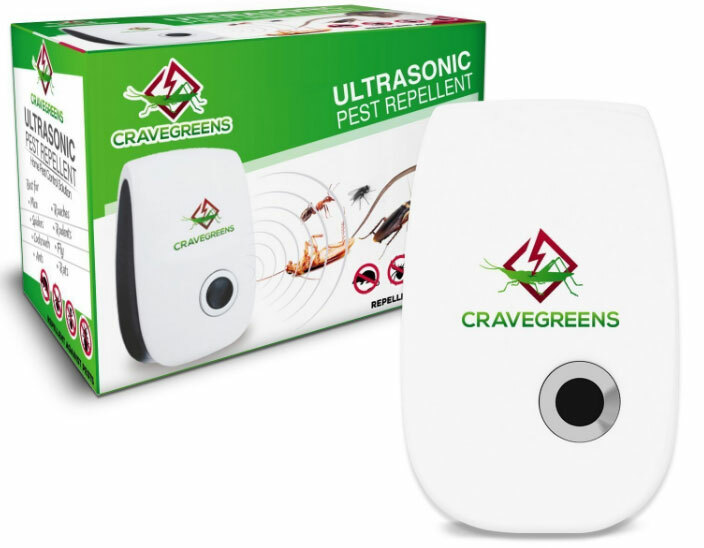 While not a trap, this ultrasonic repellent is great for keeping those pesky creatures away. 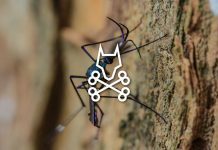 The system works by emitting ultrasonic sound that’s inaudible to humans, but that’s unbearable to mice and other pests. Even if you currently have rodents in your home, this product will have them scurrying for the door in no time. This is a great humane solution to getting rid of mice, especially if you have children or pets and don’t want to risk traps around them. The problem with traditional snap traps is that they’re designed to hurt, and as an unintentional consequence, can end up hurting you while baiting. The great thing about the Snap-E Mousetrap is that it’s built to avoid that issue, thanks to an easy-to-load bait cup. This is probably the best mouse trap on the market because it’s a tried and true method. The trap is also fast and incredibly effective. Unlike other products that can sometimes have the bait licked out of them without actually catching a mouse, this particular model is equipped with an ultra sensitive trigger mechanism, which is more effective at catching mice. One important thing to note, however, is that this product is super powerful. If a mouse gets caught in the wrong area, you may have to don the role of a crime scene cleaner. One of the most uncomfortable factors of using a snap trap is that after they capture mice, you have to dispose of the bodies. Even if you’re not particularly squeamish, or faint of heart, it can still be unpleasant to collect dead mice, especially if the trap has mangled them. That’s where Kat Sense comes in. 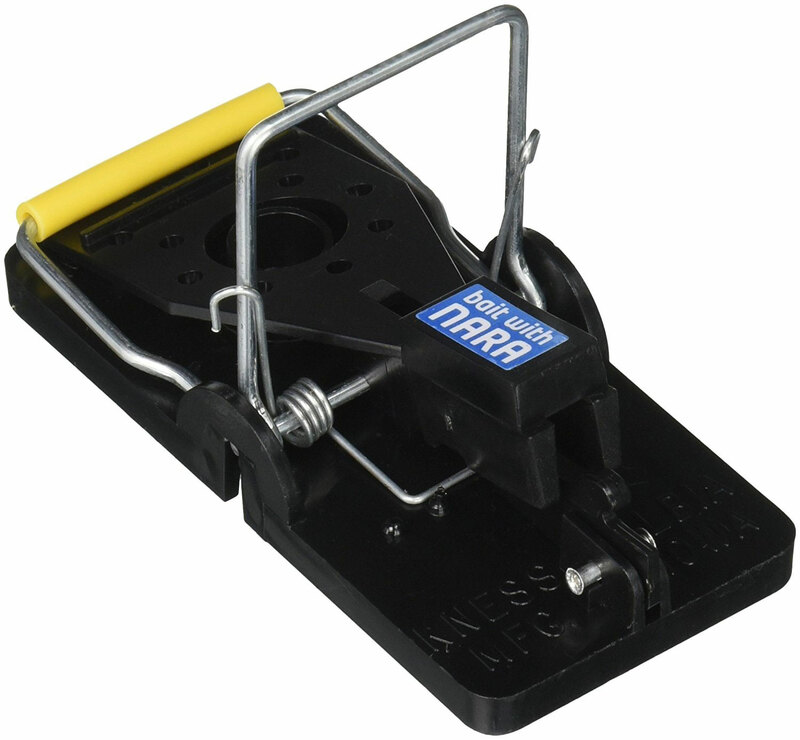 These snap traps feature an easy to operate release, where you can simply lift the kill bar and dump the dead mouse, also allowing you to save money by reusing the trap. This is a live-catch trap that’s innovative and totally reusable. Simply set a saltine cracker in the bait tray located inside of the trap. When the mouse comes along, the door will shut behind it as it nibbles on the treat. Once you release the trap, a delay will kick in until the mouse finishes the cracker, giving you enough time to step away to avoid contact. This is actually one of the best mouse traps for live-catching because it’s a little roomier compared to other humane traps, meaning that it can catch mice of varying sizes. If you prefer humane methods when it comes to catching mice, but also don’t want them in your house, then you’ll come to appreciate the efficiency and effectiveness of this mousetrap. Something to know about this trap is that it doesn’t require bait, which is a great time, food, and energy saver. The Ketch All’s design is naturally attractive to mice because it appeals to their instinctive desire to investigate tunnels or nooks. Once they enter, they automatically trip the paddle, making it impossible for them to get out. This is another great live catch option. 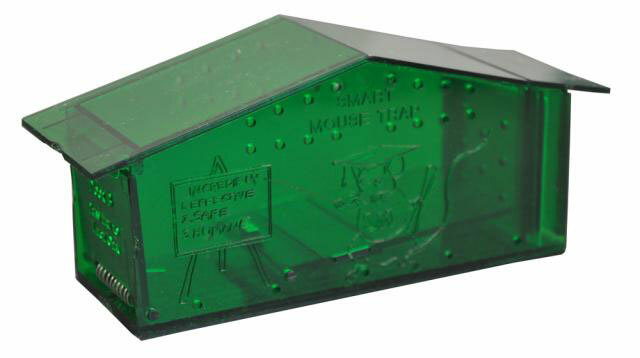 The Mice Cube mousetrap features an inward swing door that shuts closed once the mouse is inside, effectively trapping it until you release it. Simply load the trap with bait and the smell will travel through the little holes in the door, attracting mice like magnet. Be aware, however, that this product is not a one size fits all solution. Bigger mice can evade these traps easily. The longer the mouse, the easier it is for them to slip in and back without allowing the door to close. 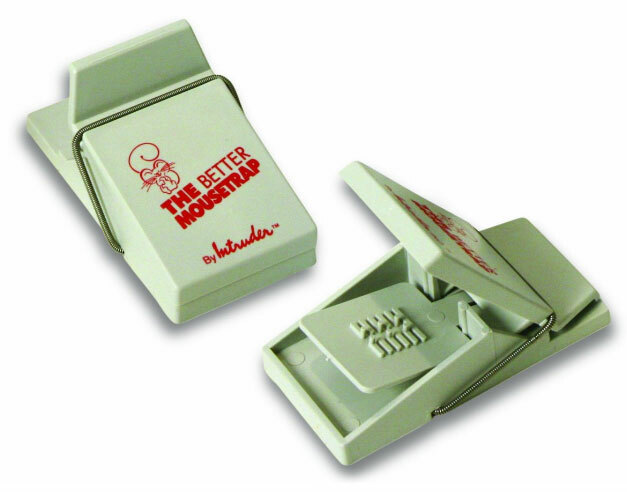 The Intruder 30442 Better Mousetrap is built to suffocate mice, and has a 30% better hold on those little critters than any other trap. To discard the dead mouse, simply press on a tab and the mice is instantly ejected straight into the trash. This is an ideal product for anyone who’d rather not have direct contact with dead rodents (or anything dead for that matter). 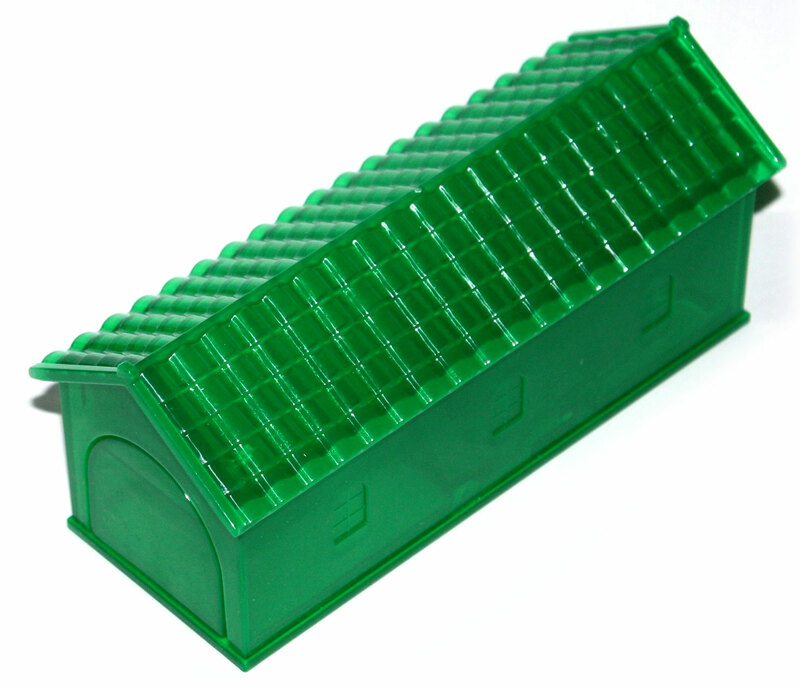 This is a live-catch trap that’s reminiscent of the mini hotels you get while playing monopoly, except green. And this may be just as cozy. 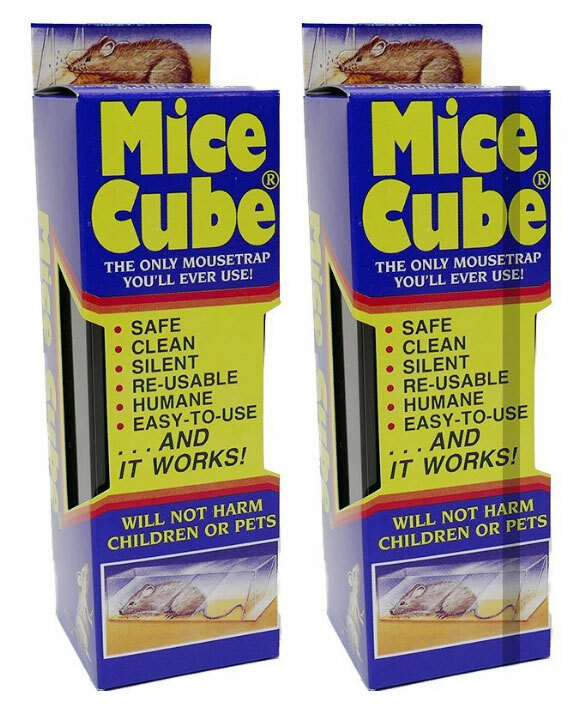 With a similar concept to the Mice Cube mousetrap, this product works by baiting the mouse. The door then automatically closes while the mouse eats. You can then release the mouse, and reset the trap on catch more mice. This is another great cruelty free option, which is actually backed by PETA. Basically, this is like a mini holding cell for pesky mice until you release them back into their natural habitat (which is anything but your house). This product comes in a set of three, so you can prepare all the traps, and catch multiple mice, rather than catching one at a time. Here’s the nice thing about glue traps: they can catch more than one kind of rodent or pest. While other traps, such as snap traps, are limited by the size of the animal (too small and the trap won’t trigger, too big and the little runt will wrangle free) these traps aren’t restricted to size (unless you come across a rat the size of a cat, in which case you’re totally on your own). Even better, these traps are easy to set up (and you rarely have to bait them since many come pre-scented). Just place in an area where mice generally scurry, such as under cupboards or near walls and the little critters will get stuck to them. 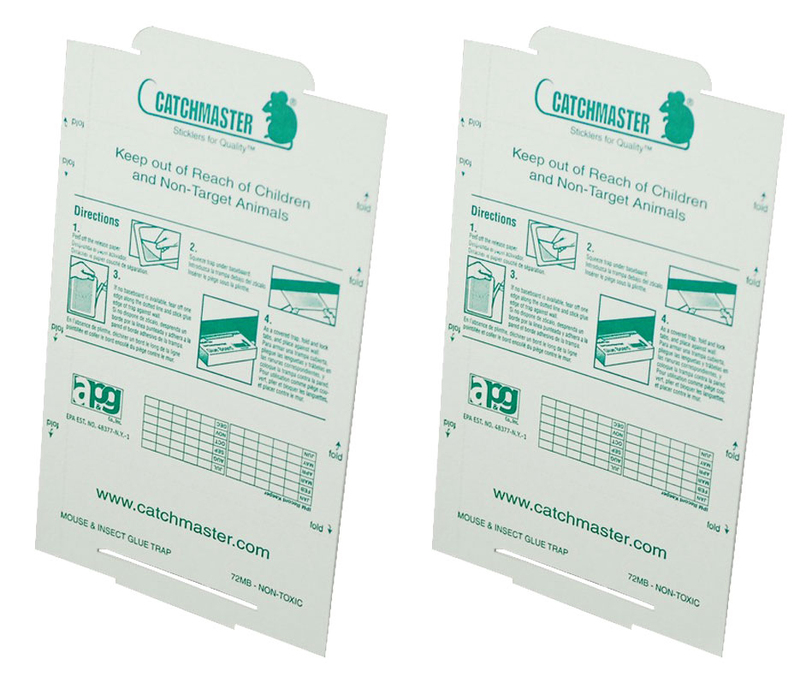 The catchmaster professional traps are some of the best mouse traps around because they’re extremely effective when it comes to catching pests. There are a few caveats, however. Glue traps are intended to kill mice, and other pests, by rendering them immobile until they die of hypothermia, which can be a slow death. In other words, this is not a method for the faint of heart. Another problem is that sometimes critters don’t attach exactly to these traps, and can get loose again. Especially clever mice might even try to chew their way out. Use this product for smaller field mice or other rodents that stand of bigger chance of getting stuck firmly to the adhesive and be unable to wiggle loose. Why do we get mice? There can be a variety of variants that attract mice into your home. Very few of them have to do with you. Sometimes where you live can be a big factor in determining whether or not you get mice, such as areas with lots of open spaces or fields. Another factor is the layout of your home. By nature mice are curious creatures, and if they can get in through cracks in the window screens, holes in the foundation, or even wide open doors they will. However, there are a few situations that make you a bigger target of mice infestations. These include having garbage that’s easily accessible to these furry critters, having water sources outdoors, or keeping bushes or firewood nearby to your house. Generally, mice tend to prefer places that provide shelter or easily accessible food or water. 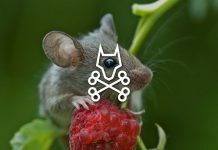 What can we do to reduce the chance of getting mice? The best way to avoid welcoming mice into your home is to take preventative measures. Sometimes the solution is as simple as plugging up holes both inside and outside your home. Other times you may have to take more extreme preemptive actions such as destroying nearby mice nests or even spraying repellent. One of the most effective actions is to rodent-proof your kitchen garbage and any trash bins. This means making all trashcans inaccessible to mice by ensure they are equipped with tight fitting lids. If you live in an area that’s prone to mice infestations, avoid feeding birds because even bird food can attract mice. The actually mechanics of a trap will differ depending on the kind you use. However, mouse traps have a few principles in common. They are designed to catch mice by being strategically placed in the mouse’s path as it moves around the house. Some traps, like snap traps, are use a lure to attract the mouse and then kill it. Others, like live-catch, are more humane. They simply use lures to force mice into enclosed spaces. What types of Mousetraps Are there? If you’re having problems with mice, or other rodents, you may be wondering which are the best mouse traps for you. In truth, the answer will vary depending on your preferences (and/ or sensitivities). Individuals who are especially squeamish when it comes to the subject of killing can rest assured that there are some humane options available. 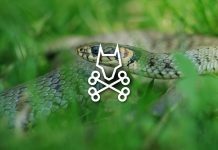 The Snap Trap: If you’ve ever watched an episode of Tom and Jerry (or any other cartoon revolving around mice) you’re probably familiar with the iconic snap trap. Also known as a Spring-Loaded bar mousetrap, this product is famous for implementing a cheese lure. Once a mouse puts pressure on the tip, the bar swings down, theoretically killing the mouse instantly. 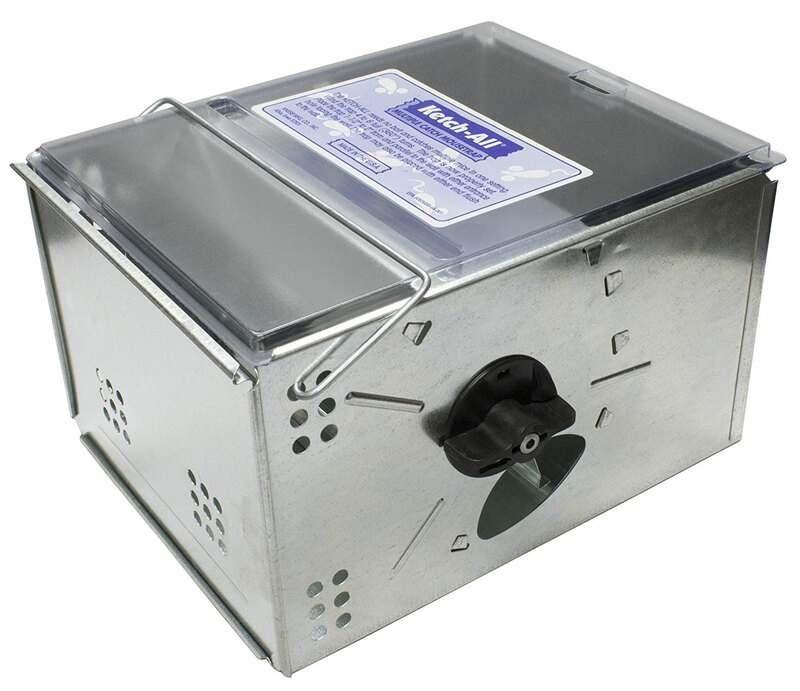 Electric Mousetrap: Electric mouse traps are usually housed in plastic covers to prevent injury to pets or people. They work by delivering an electric shock to mice as they make their way to the bait. 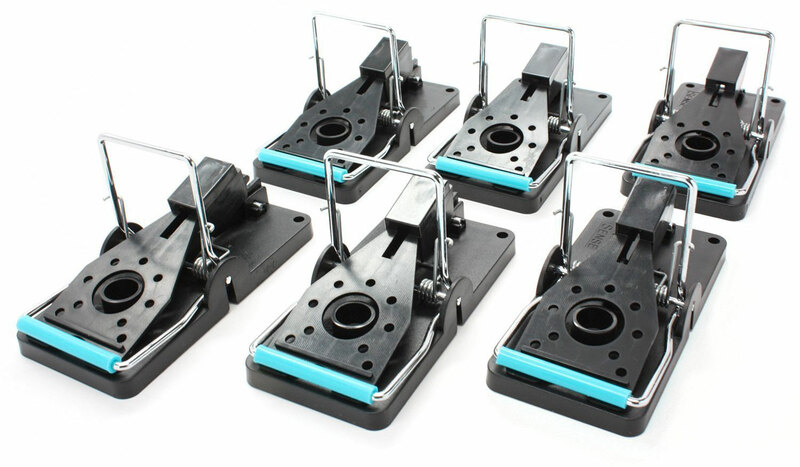 Finding the best electric mouse trap will depend on the size of the infestation in your home. Jaw mousetrap: Similar to the Spring-Loaded trap, this invention features a series of jaws that snap shut as a rodent makes for the bait. While originally made of iron, you can probably find a few models made from plastic, which are much safer for your fingers. Glue Traps: Also known as adhesive traps, mice get caught in these by getting stuck to the adhesive. Being unable to move, they usually die of hypothermia. However, it’s important to note that this is typically a slower form of death for the mice. What’s more, mice have been known to occasionally wiggle free of these traps. Live-Catch: These traps have been around for a long time, and they’re used as a more humane method to capture and dispose of mice. Make sure you check these traps daily! Otherwise, they can be just as lethal as any other method. 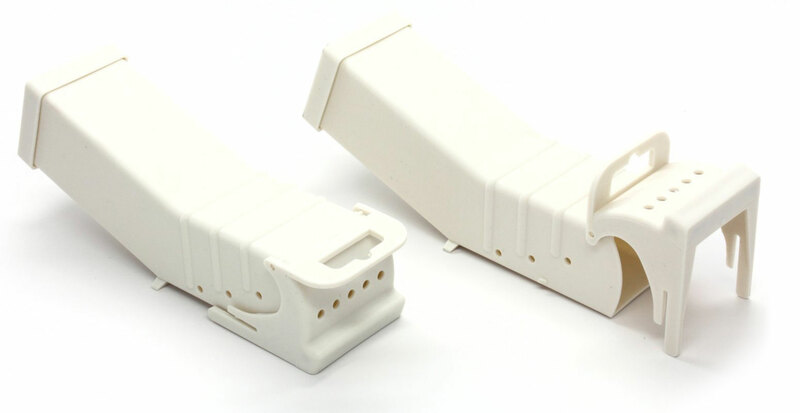 Keep in mind that the best mice traps are fast, both in their capture or kill methods. Finding the best mouse trap for you will depend on your preferences and circumstances. A large infestation requires bigger traps, and may even necessitate contacting an exterminator. 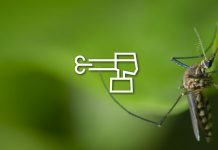 For smaller problems, you may be able to set up traps throughout your house, which can either be lethal or humane depending on your preferences. Another option is poison. However, you should always exercise caution when using this method since it can be harmful to both pets and people. Ideally, you should keep all traps out of your pets’ reach. 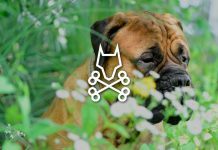 However, sometimes that can be a difficult feat if you have an incredibly curious pet. What’s more, snap traps and similar mechanisms can actually injure a dog or cat, especially if they get caught on a paw or tail. In this case, the best mice traps are live-catch because their humane principles make it less likely for your pet to get hurt as well. These can also be the best mouse traps for home because they also eliminate the risk of children being injured. Theoretically, however, traps that are incased in some kind of protective container or covering are also safer for your pet since the casing is difficult to tamper with. The most important thing to remember when setting any kind of trap is to keep an eye on your pet at all times. Never leave your pet alone among traps. Do mousetraps work better with bait? Nine times out of ten rodent traps are always more effective with bait. The reason for this is that mice are extremely wary of objects they’re unfamiliar with, particularly ones that have your scent attached to it. While you can set traps in high traffic areas where you’ve seen mice (or speculate they might frequent) don’t be fooled into believing that that’s enough. Mice are well aware you’re not their friend, and they’ll be suspicious of any peculiar objects. Bait is a great incentive to get mice to try their odds with a trap. They’re more likely to stray into the path of a trap when there’s food or nesting material at stake. What is the best type of bait to use in a mousetrap? Contrary to what is often touted on popular sitcoms or cartoons, cheese is not the best mouse trap bait. Part of the problem is that cheese can lose its potency over time, making it less of an attractive lure for mice. It may surprise you, however, to discover that the best type of bait for mice is actually chocolate. Just like humans, and many other mammals, mice have an especially hard time resisting sweets, and chocolate is the ultimate temptation. If you really want to develop an effective trap, use a just enough chocolate sauce to give invading mice an offer they can’t refuse. What's the difference between mice repellents and a mousetrap? Rodent traps are designed to capture (and in a lot of cases kill) rodents. What’s more, they’re usually seen as a solution to a problem that’s already underway. On the other hand, mouse repellent is used to keep mice at bay, and often isn’t really lethal. Usually the repellent works as a deterrent, and it’s implemented before mice have the opportunity to enter the home. You can also use some home remedies for mice to repel them, such as peppermint oil or even used kitty litter. Other kinds of mice repellents include oils, sprays, and ultrasonic devices. While the idea of purchasing a mousetrap and using it may not be appealing, you may not have much of a choice. Remember, mice can carry germs on their feet that can spell big health troubles for you and your family. So take your time to find mouse traps that work best for your situation. Just like no two people are the same, no two mice are the same, and some of them can be incredibly sneaky. If you get stuck with a really smart mouse (which can and does happen) you may finding yourself having to resort to more aggressive tactics. Be patient, sometimes results can take days to show. More importantly, remember, if things get completely out of hand, you can always call a professional exterminator.